Experience the pinnacle in privacy and luxury with a stay at one of our delightful Puerto Escondido villas. Our hand-picked selection of rental homes offers the very latest in modern conveniences. 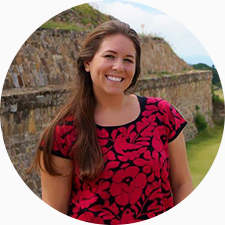 Plus, if you’re looking for something extra special, our team of Mexico experts can organize every last detail of the trip. Between the gleaming Pacific Ocean and the soaring Sierra Madre del Sur lies Puerto Escondido, a magical beach town with the perfect blend of boho chic and modern luxury. Its famous waves entice the very best surfers from across the globe, particularly Playa Zicatela and its famed barrels. Stay in one of our Puerto Escondido villas which are surrounded by white sands, lush jungles, and tropical mangroves. Gorgeous palapas and bijou seafood stands are dotted along the shoreline, while the tranquil beaches make a great spot for a family vacation. Discover Mexico’s biodiversity and rich heritage in this coastal gem. HOW TO GET TO PUERTO ESCONDIDO? 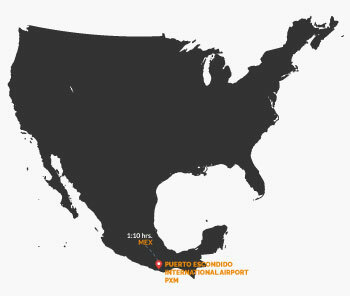 You can fly into Puerto Escondido International Airport, which is situated just a five-minute drive from the city center. The US. Department of State has said travel to Puerto Escondido is okay. Additionally, our private rentals in Puerto Escondido come with their own security measures. Tulum falls in the Eastern Time Zone during the spring/summer and Central Time Zone during the fall/winter. Daylight Savings is in early April and late October.